Portable golf simulators that immerse you in gameplay for a fraction of the cost of a high-end unit. 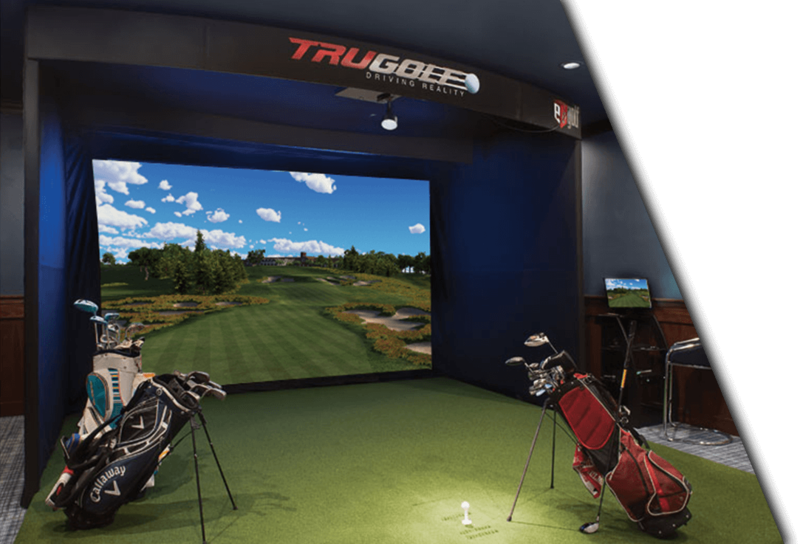 These industry-leading simulators are designed for lasting performance and aesthetic flexibility, whether used as a home golf simulator or as an indoor simulator at a golf facility. 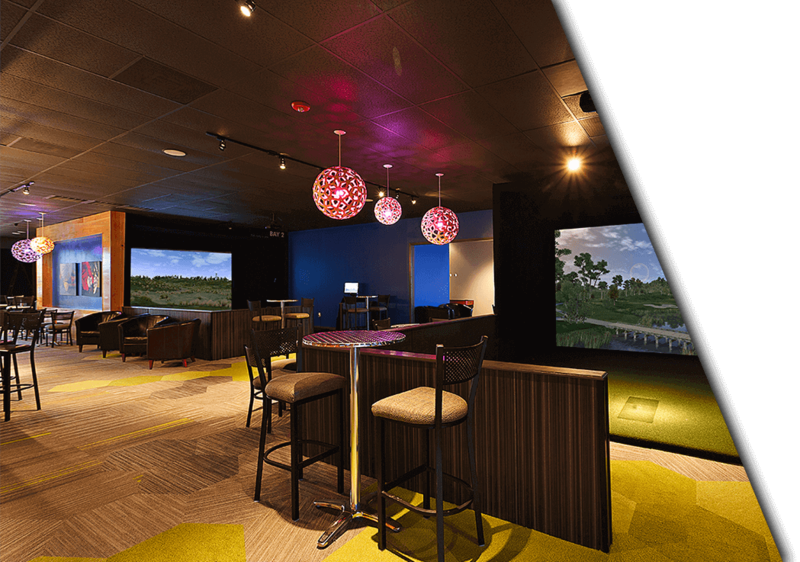 Our largest and most impressive golf simulators surround you with stunning high-definition for the pinnacle of virtual reality. the best TruGolf simulator for you. 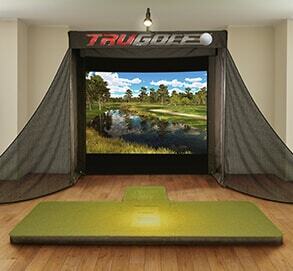 How will you use your TruGolf simulator? What price range are you interested in? All of our portable models are available with payment plans. Would you prefer our flagship model or a custom unit? 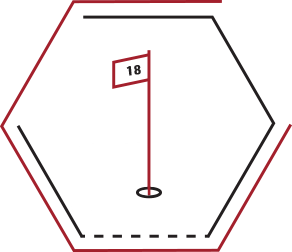 The Vista 8 is the perfect indoor golf solution for golfers with limited space requirements. The lightweight aluminum frame makes it a truly portable unit. 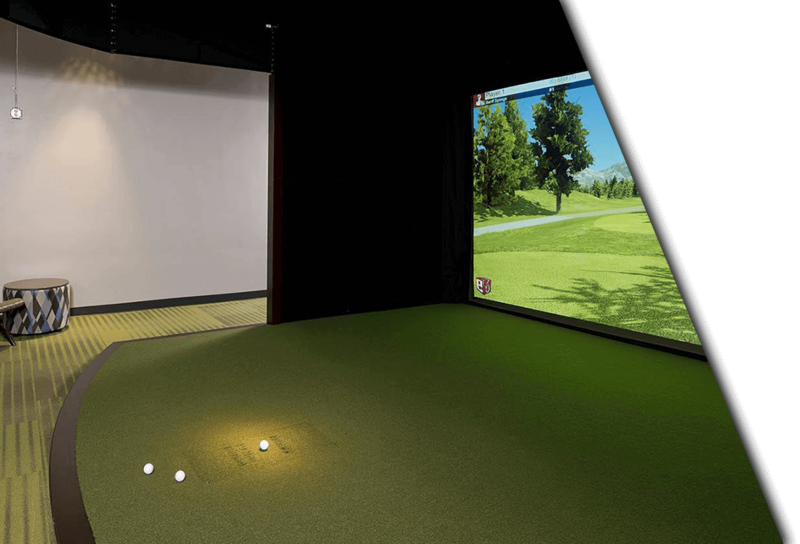 This golf simulator provides the same swing analysis tools used by PGA teaching professionals around the world. It measures 9’ W x 12’ D x 8 H. All Vista models are available with payment plans. 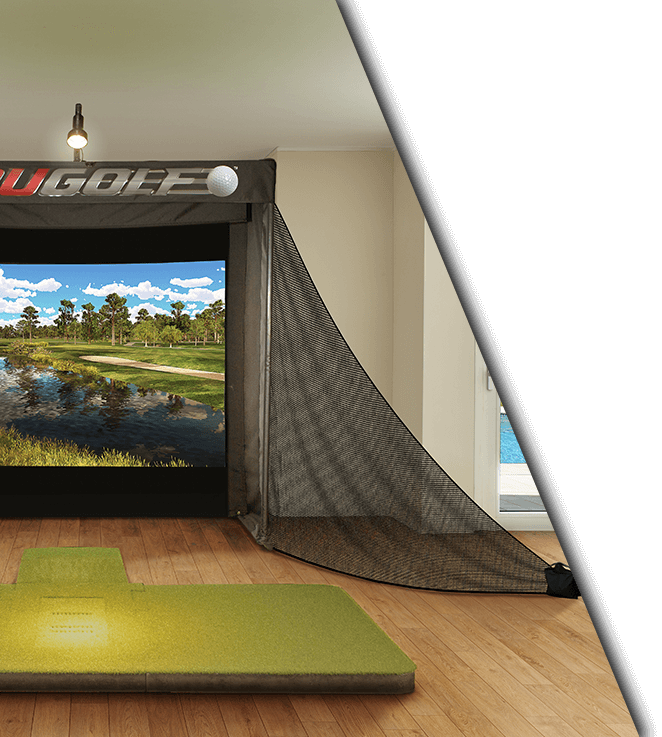 The Vista 10 is the perfect indoor golf solution for golfers with limited space requirements. The lightweight aluminum frame makes it a truly portable unit, and it offers upgraded core components. 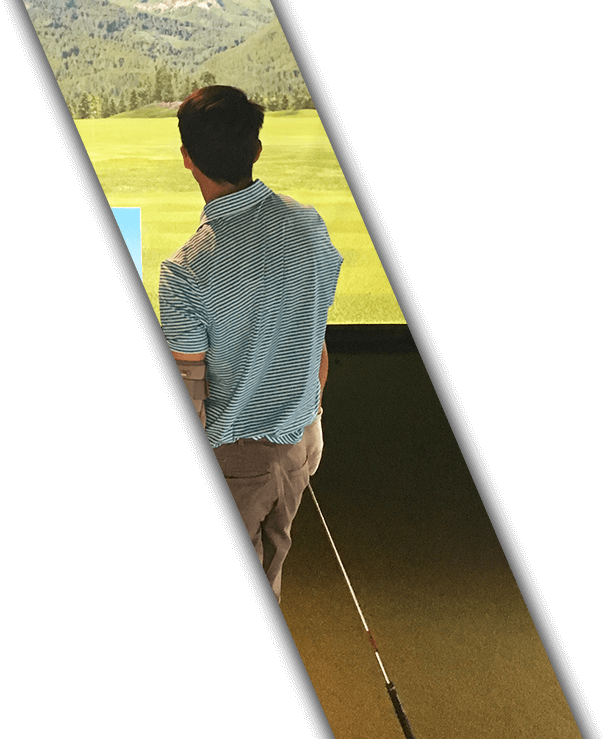 This golf simulator provides the same swing analysis tools used by PGA teaching professionals around the world. It measures 10’ x 15’ D x 8’ H. All Vista models are available with payment plans. 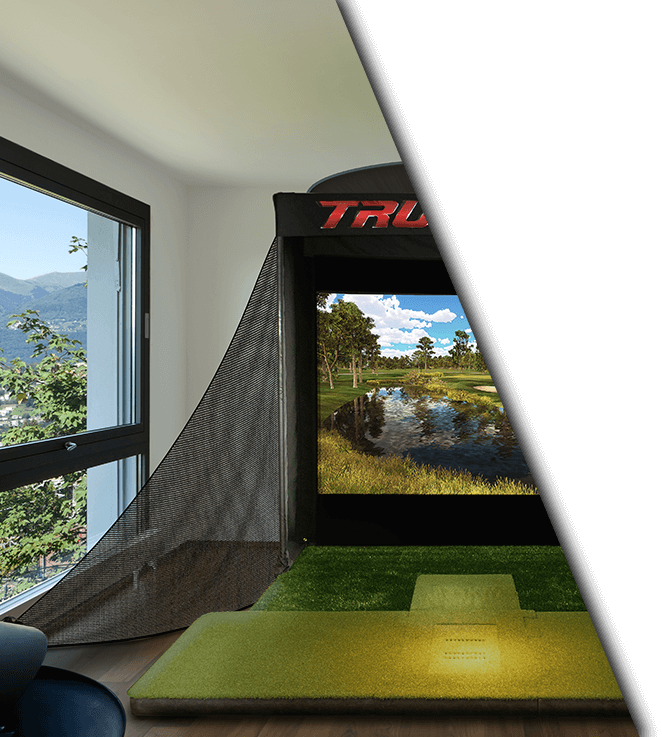 The Vista 12 is the perfect indoor golf solution for golfers with limited space requirements. The lightweight aluminum frame makes it truly portable unit, and it has a wide-screen image, just like TruGolf’s Free-Standing and Custom options. This golf simulator provides the same swing analysis tools used by PGA teaching professionals around the world. It measures at 12’ W x 14’9” D x 8’8” H.All Vista models are available with payment plans. 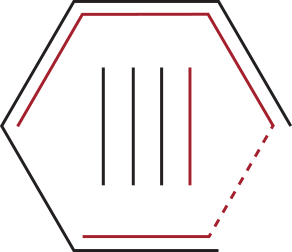 The Signature was designed for the enthusiast who never skips a round and never accepts a gimme. This unit features the same analytics used by professionals to hone in their game.It is completely self-contained and free-standing, and wrapped in dark fabric for a high-end presentation. 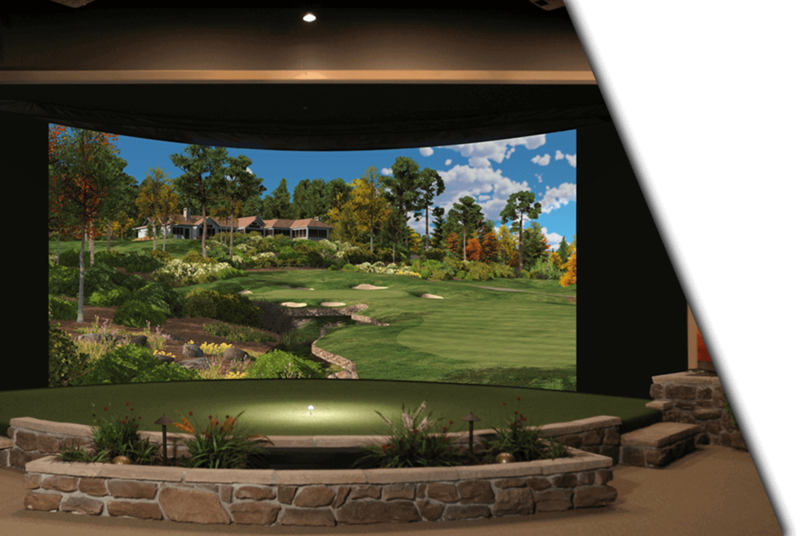 If you are looking to build your own golf simulator, or replace the technology in an existing unit, we offer Custom units. 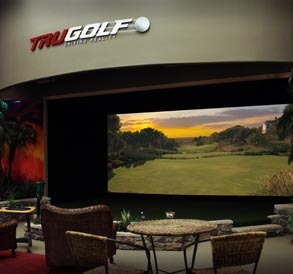 Purchase the core technology and any other parts you may need to complete or refurbish your custom indoor golf solution. 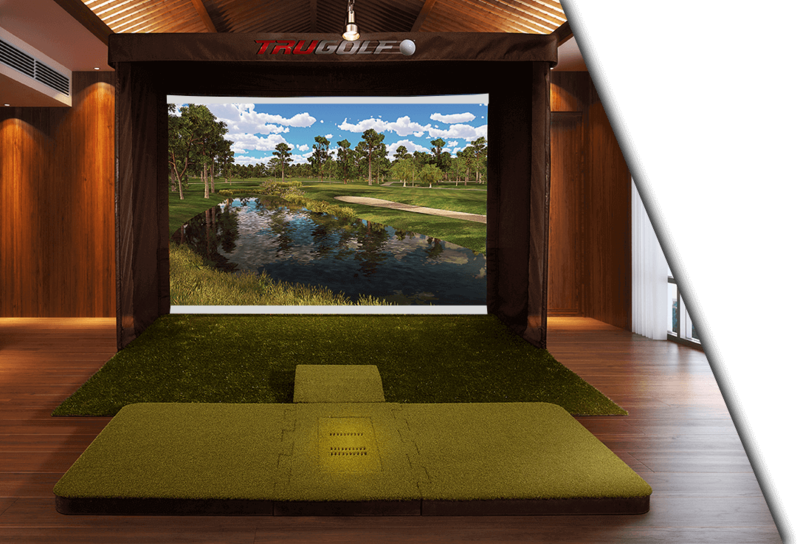 Our flagship model is the biggest, boldest, and most immersive golf simulator available. 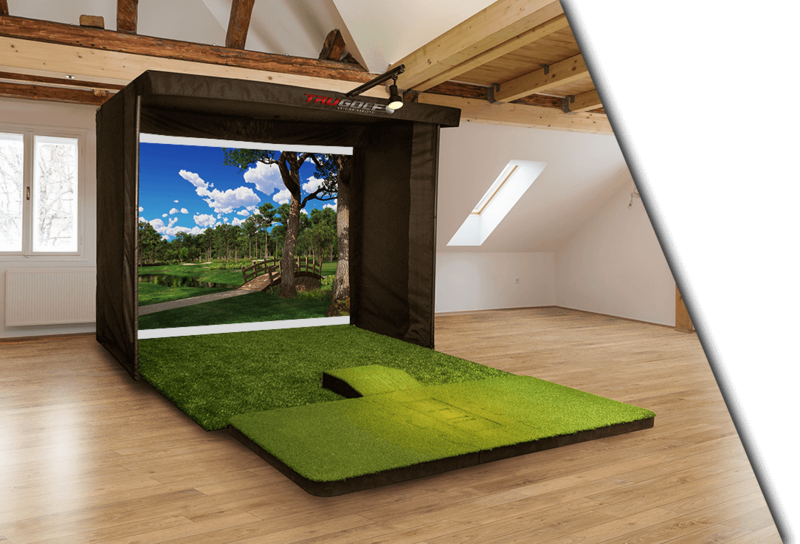 It features top-of-the-line components, a high-speed camera tracking system, and E6Golf software on a 17’ wide screen for an unparalleled virtual reality golf experience. If you settle for nothing less than the best, the Horizon is the model for you. The Vista 12 + Commercial Upgrade Package is the natural choice for businesses looking for a portable option. 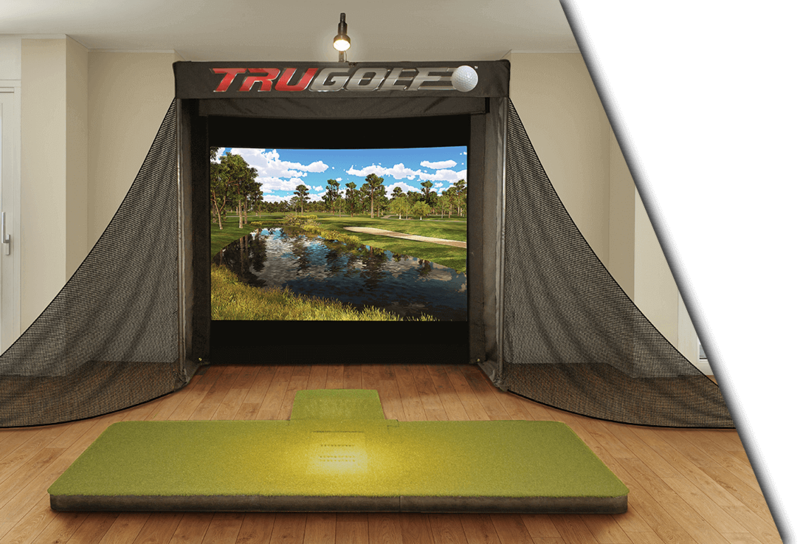 The lightweight aluminum frame makes it truly portable unit, and it has a wide-screen image, just like TruGolf’s Free-Standing and Custom options. 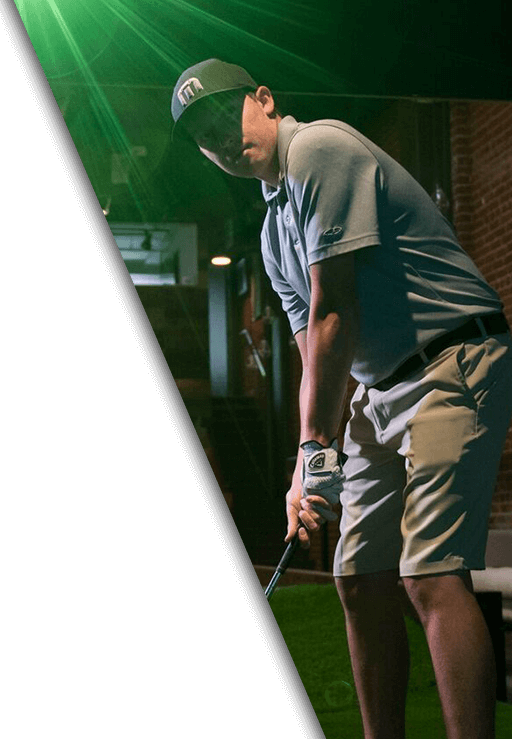 This golf simulator provides the same swing analysis tools used by PGA teaching professionals around the world. It measures at 12’ W x 14’9” D x 8’8” H.All Vista models are available with payment plans. With the Premium, golf becomes a year-round sport. 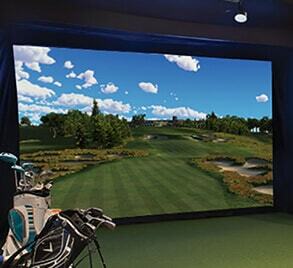 This simulator has been installed in Country Clubs, Universities, bars, and teaching studios throughout the world. This unit comes standard with a carpet-paneled interior to limit sound and a fully extended enclosure. Customize the wood trim on the outside of the unit to match your home or business. Our flagship model is the biggest and boldest simulator. 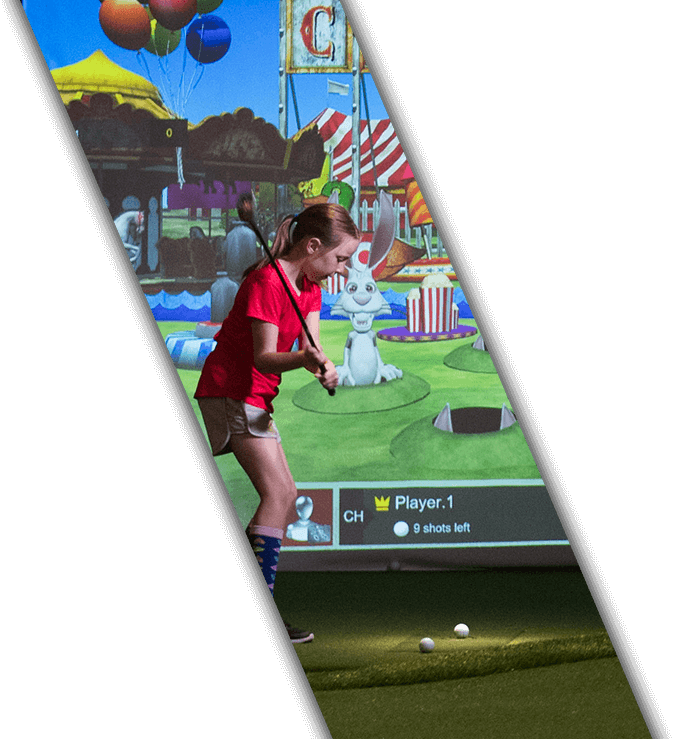 It features a top-of-the-line projector, a high-speed camera tracking system, and E6GOLF software on a 17’ wide screen for atotally immersive experience. If you settle for nothing less than the best, the Horizon is your model. 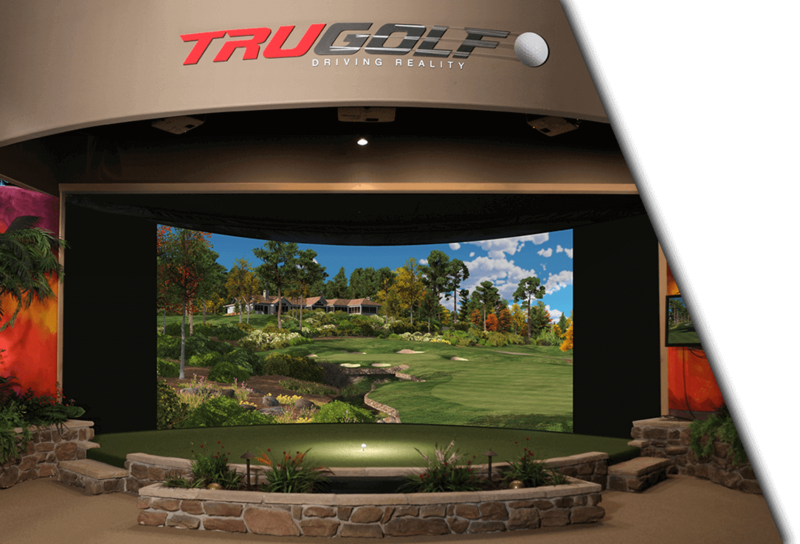 TruGolf designs, manufactures, and manages its own hardware in house. 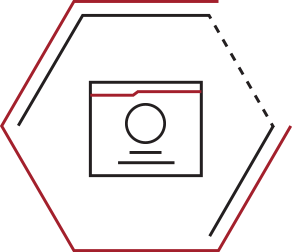 The result is more responsive service, unmatched quality, and superior value for our partners and their customers. 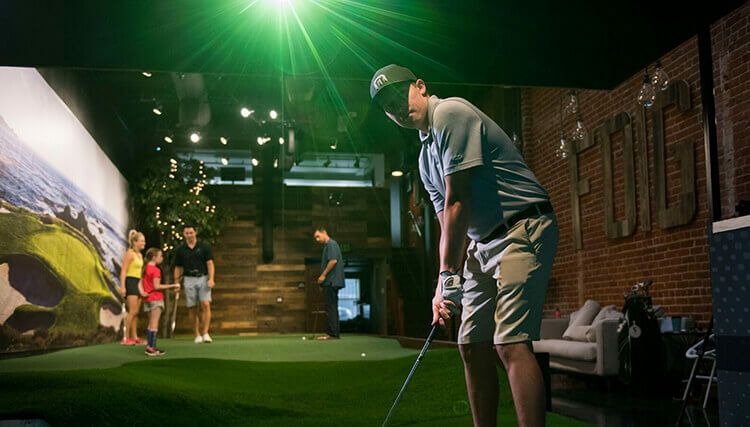 With custom content and gamified modes of play, TruGolf can increase traffic and revenue in pro shops, indoor golf facilities, bars, pool halls, bowling alleys, recreational centers, and more. TruGolf’s Point-of-Impact technology allows us to measure putts inside of 10 feet. No other technology company simulates golf tee-to-green like TruGolf.